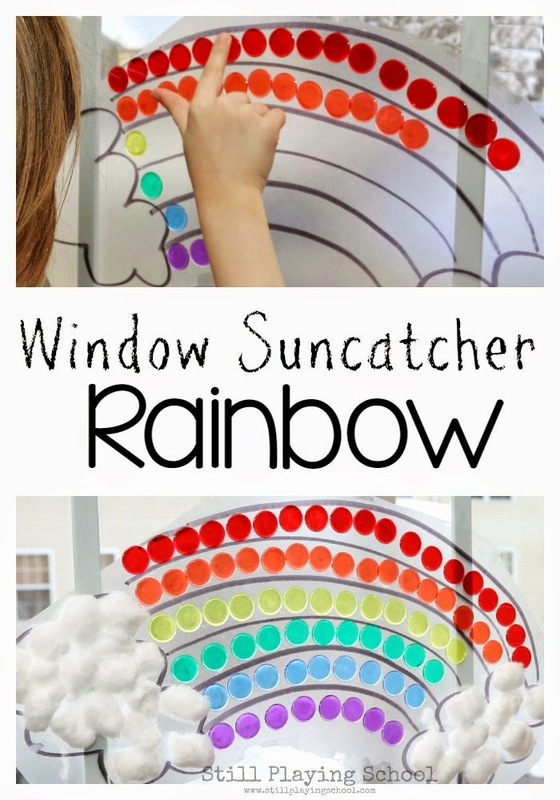 We really needed a rainbow to brighten up our window! We are tired of looking outside at everything bein drab and gray. When we do get a bit of almost spring like sunshine it catches in this window rainbow in the most brilliant way! It was the perfect quiet time activity turned pick me up for the home. Contact paper is a material we always have on hand for fun and creative activities for kids. 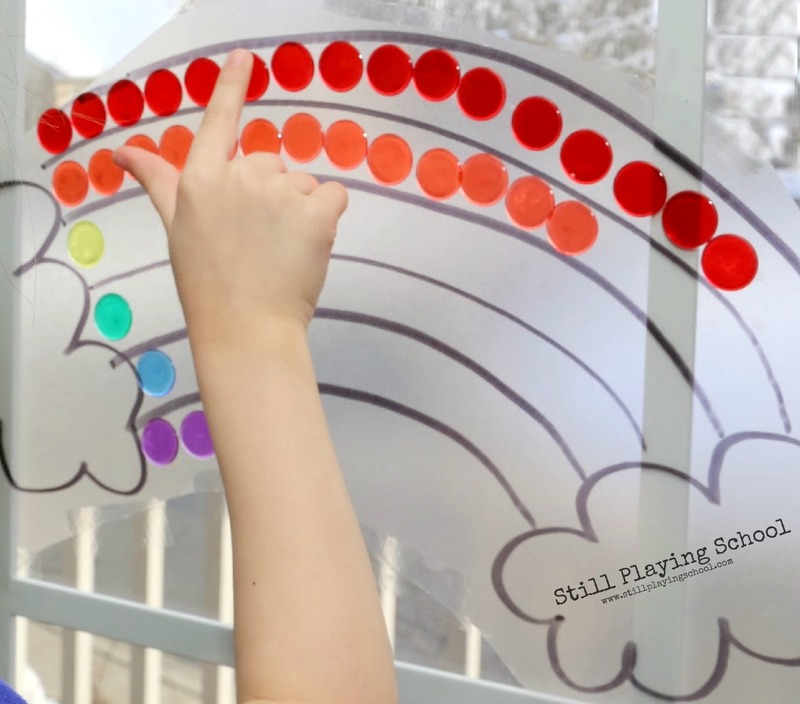 For this invitation to play, I drew a rainbow outline on the non-sticky side of the contact paper then taping it to the window. Our preschooler worried that she would need lots of glue but then I pulled off the backing to reveal that the contact paper was sticky and transparent. She was amazed and inspired! 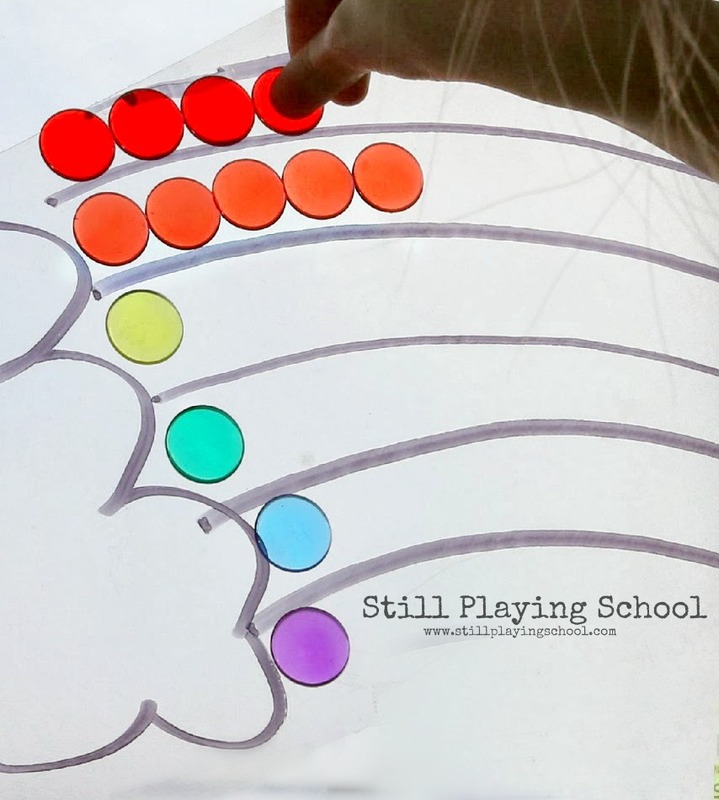 She carefully lined up our transparent counters to fill in the rainbow. 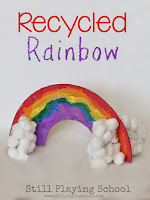 If you don't have the counters, you could use tissue paper pieces for the same stained glass effect or colored pompoms for a 3D rainbow! 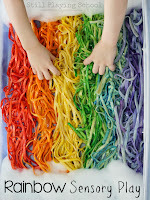 We put the rainbow high enough that it was out of our toddler reach so our preschooler stood in the kitchen helper to work. It's one of the best investments we've made since it's used daily. She would occasionally stop to count how many were in each colored row. I asked her which color she thought might need the most counters. "The red," she inferred, "because it's the longest." She was thrilled about the idea of using cotton balls for the clouds. 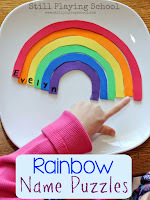 This was a fun and motivating fine motor and sensory experience! I loved watching her concentration as she worked. 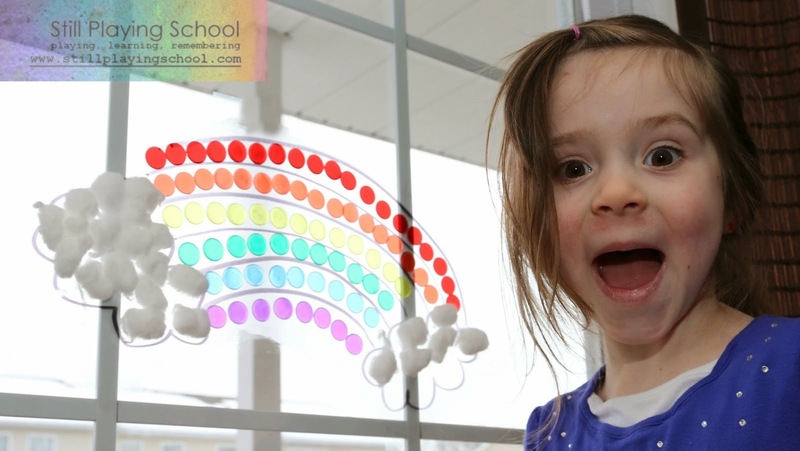 I thought maybe this project would take a few sessions to complete but she wanted to keep going until her rainbow was finished! She's pretty sure a leprechaun will see it and come visit. We love the way it looks when the sun shines through the window! This is great! It turned out beautifully. Contact paper is so versatile and fun.